Besides, there is another essential component which leads to success. And that is, giving your product a nice brand. This came across my mind when I was shopping at Holiday Plaza, Johor Bahru. 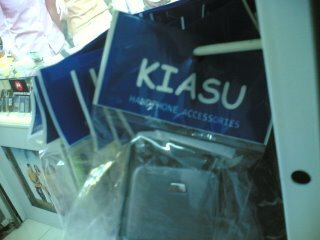 I was looking for a set of imitated cover for my Nokia 6680 and I stopped by a shop selling handphone accessories. Guess what’s the brand of the accessories? Buying some, and give as birthday present to your classmates that you dislike, if he happens to invite you for a party. nice deal, you get "face", he "gets" present!